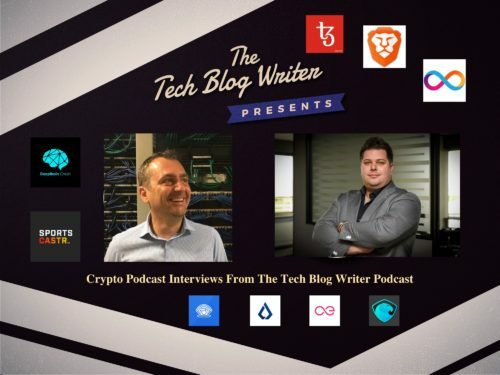 Over the last few months, I have been fortunate to speak with leaders from all over the world in the blockchain space on my daily tech podcast. I thought it would be a great idea to gather them all together on one list so that listeners can do their own research and learn about projects directly from the leaders themselves. Whether you are an early believer, adopter or investor, when it comes to the blockchain and crypto space, it is crucial that you do your own research (DYOR). But this can be difficult when it seems that any YouTube vlogger, blogger, Reddit user and indeed anyone can be paid to shill the latest crypto coin. I wanted to try and separate myself from the insanity and the excitement by talking directly to the people that are navigating the unchartered digital waters towards a brave new digital world. On my daily tech podcast, I invite guests that are in this for the long run and exploring how this technology will reshape our world and lead through trust and transparency. If you want to learn more about some of the most exciting projects in the blockchain and crypto space directly from the those building it rather than going to the moon or buying your first Lambo, check out some of my recent interviews below. I have included the CoinMarket Cap position at the time of writing this blog post. These positions do not reflect the quality of the project or the people leading it but thought it would help readers/listeners learn more about each company that they see on these lists. For each guest, I have included links to CoinMarket Cap and the podcast episode so that you have access to all the information that you need. If there are any guests that you would like to hear on the Tech Blog Writer podcast, or if there are any burning questions that you would like answered, please contact me and I will try to help.